Okay, so I (Lisa) know that I promised that part 2 of Profapalooza would be a continuation of my national Australian tour, but I had to take a side-trip before publishing that post… just a little side-trip, into the heart of a hurricane in the North-Eastern US. Yes, I’m here in Baltimore at the ASIST 2012 conference; what a great way to celebrate the Association’s 75th birthday! Apparently there will be a cake tonight; and judging by the number of people who have left, I’ll be able to have plenty of slices. Here’s one of the pics from space showing the hurricane (on the right) and the cold front (on the left). The two forces will combine to create a “superstorm.” Where’s Baltimore? Somewhere in the middle of it all. 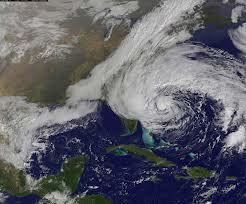 I’m now sitting in the lobby of the Baltimore Hilton, waiting patiently for Hurricane Sandy to come ashore. The trees are starting to sway, and only a moderately heavy rain at the moment. My prediction that the storm would ensure a captive audience for my conference talk materialized somewhat — we had 60+ people for our panel yesterday and a large crowd for my Sig-USE keynote, too. But many people have cancelled their trips here entirely (at last count, 80 didn’t show for registration) or they arrived in Baltimore and left again, almost immediately. A few people hopped back on planes while others booked vans to make the long journey home. Of course, when you’ve traveled here from Sweden, the UK, Australia, and even parts of Canada, driving is not really an option. And now that Monday is here (the big day when the hurricane is expected to make landfall) driving is REALLY not an option. Same for flights or trains (airports, etc. are now closed). So, here I sit. The hotel staff are calm and collected. 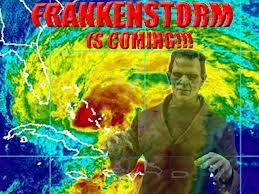 There are no sandbags, no evacuation order; we have lots of food and the hotel bar is fully stocked. The conference receptions are overflowing with food, since so many people have left. The hallways are quiet. There are fewer staff here than expected, since the buses and light rail transit are cancelled; but the staff that are here are wonderful – friendly and helpful, with a good sense of humour. 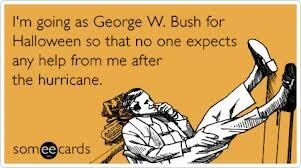 I’ve only been in a hurricane once before, when I was about 9 (I think) on a family trip to Florida. I remember sitting in a Denny’s (or something) somewhere on the East Coast and watching the waitress close the curtains while the sky darkened. Seemed odd at the time (and when I tried to peek outside, the waitress gave me hell); like, if you don’t see the storm, it isn’t there? I don’t think that’s gonna work this time around. Like most new hotels (and this one was only built 3 years ago) there are windows, everywhere. There are no curtains (except in my room, of course; so I can always hide under the covers if things get really bad). Now, that may worry some people; what if the windows blow in? Well, we’re not expecting that the winds will be that bad. The hotel is surrounded by others and a few streets away from the water. People who know this area expect that the surrounding suburbs will be hit with the storm surge (typically the biggest cause of damage and loss of life in hurricanes) and possible power outages (due to downed power lines; 400 homes lost power last night but all were back on this morning). Happily, there are no power lines at the hotel; everything is underground. And, the hotel has a generator. So I should be able to blog to my heart’s content. And what I learned during that first hurricane (as a nervous touristy kid from Canada, wondering why none of the locals were freaking out) was that the locals often know how to respond to these things. You don’t do anything stupid; if you’re told to leave, you leave; if you’re told to take precautions, you take them. And if things look reasonably sane, you close the curtains and get on with your day. We all remember the devastation of Katrina, but that doesn’t mean that we should panic. The key thing is to be aware, follow directions and stay calm. And that’s what I’m gonna do for the next few days. So, expect some photo updates as the storm moves ahead. The view from my hotel room at 9am this morning. Since then, a bit of rain and wind, but nothing too dramatic yet. But for now, I’ll just continue to enjoy the conference sessions, hang out with my close friends and colleagues, and watch the wind blow. 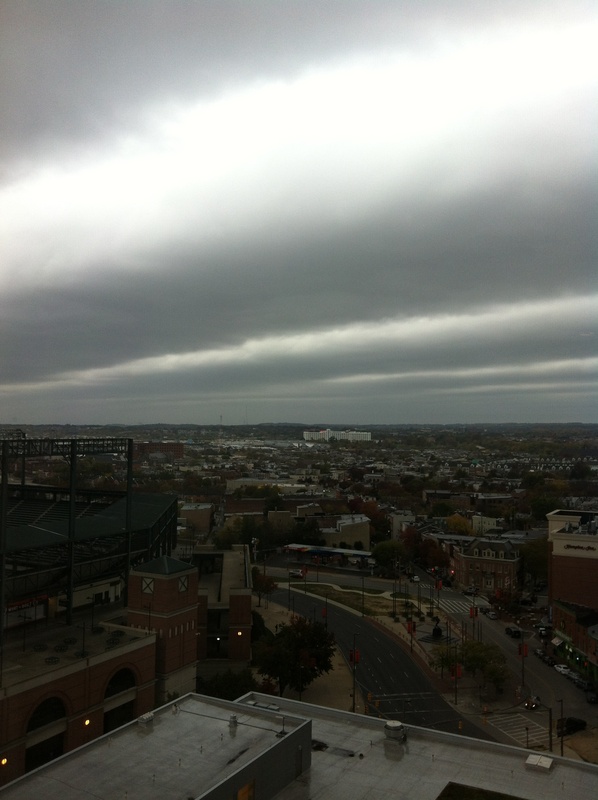 This entry was posted in Conferences, floods, Hilton Baltimore, homesickness, Hurricane Sandy, weather. Bookmark the permalink.